DigitalCrafts’ instructors are all professional engineers with real-world development experience. The average class size is smaller than the national average, allowing for an efficient and effective learning environment where students ‘learn by building.’ In addition, students receive resume/portfolio guidance and a mock interview lesson. The admissions process consists of an online application, interview, and coding challenge. Financing and scholarships are available, and early enrollment incentives can further lower tuition for students. Students in Atlanta and Houston are also full members of Atlanta Tech Village and HeadquartersHTX, respectively, for the duration of the class. DigitalCrafts has a partnership with Skills Fund, with payments as low as $192/month. Secure your seat early for additional discounts. Women and Veterans automatically receive scholarships to attend our Immersive and Flex Programs. If you do not qualify, we also sponsor The Builder Scholarship awarded to applicants with inspiring stories and goals. Pre-requisite work will be provided. DigitalCrafts has a partnership with Skills Fund. Payments as low as $293/month (full-time) or $192/month (part-time).DigitalCrafts has partnered with Leif to offer Income Share Agreements allowing student to pay after they graduate and land a job. Payment plans available through our partner, Skills Fund. So Digital Crafts has two programs. A full-time course called the Immersive program and a part-time course called the Flex program. I attended the flex program which is Tuesdays and Thursdays from 6:30pm - 9:30pm and Saturdays from 10am - 2pm. The onboarding process included some pre-work to familiarize people with the basics of using a terminal. It really is a “from the ground up” program. Digital Crafts looks to turn people with zero computer science experience into developers writing full-stack applications in React/Redux, Node/Express and deploying them to AWS, Heroku, and Netlify in 26 weeks. That’s a tall order if I ever heard one. The first few weeks starts out with html/css, bootstrap, and vanilla JS. Then we started learning how to build servers in Node/Express and making calls to them from the client-side using Axios and rendering out the data to the UI. Then you spend a couple weeks on databases like MongoDB and Postgres. We explored libraries like Mongoose, Sequelize, and pg-promise. Halfway through the course you’re learning how to prevent getting trapped in callback hell using Async/Await functions and are able to build a full-stack application. We then started drilling ES6 syntax pretty hard and learning how to do OOP in JS in preparation for React. The second to last part of the course involved learning React and Redux. I remember doing about 5 or 6 assignments bouncing from using React only and then using React w/Redux to better understand how Redux was helping manage application state. We had to also build a game using React and Redux ( which I’ll cover in another article ) to finish the chapter. The last subject we studied was learning how to deploy. We learned how to spin up EC2 and RDS instances as well as deploying to Netlify and Heroku. The final assignment was the Capstone project which we presented on Demo day. I personally work with some alumni who are now lead developers on their teams where I work and are actually partially responsible for my motivation in enrolling in the first place. They don’t even use JS, they use Golang. Digital Crafts teaches you how to learn. It teaches you how to approach and solve problems in ways that can be translated across a plethora of different programming languages. If your ultimate goal in enrolling is to get a job as a developer, it’s worth mentioning that they are definitely doing something right with their career services program because alumni are recognized in the Slack channel when they secure new positions and that seems to be happening multiple times every week. The class was also a lot of fun and overall an experience I’m super glad I had. I saw a lot of people from different backgrounds grow and develope as programmers. It was also pretty amazing to see how far everyone came in such a short amount of time. Digital Crafts definitely has something special going on over there. Let me start by saying that I did not know much about programming when I started and I'm still growing my skills, but the instructors in this program really helped me to establish a solid foundation to build upon. I am a teacher by trade and making a transition into more of a project management role. The course has given me a better insight into how not only to think like a programmer, but to look for solutions that may not have been obvious at first glance. The ability to create functional software has become a valuable tool in my belt and I am glad I went through DigitalCrafts to gain the knowledge. If you are on the fence, get off and start the application. In addition to the programming skills that are taught, you are exposed to different views on programming technologies, how to research for solutions, and how to build the soft skills that are also necessary for success in the world of code. I recommend this program to anyone looking to make a change while balancing your career and family life. Being a stay-home mom and away from my career for a few years, I needed a change, but I was scared of a change at the same time. It took some time for me to finally decided to join DigitalCrafts. I am very happy that I did. I had Veronica as my instructor and Katy as my TA. They are both amazing. Veronica is positive, motivative, flexible, smart and helpful. She looks at a student's face and makes sure we understand. Katy helped me problem solve the situation when I had a hard time. The course is fast and intense. I recommend to finish pre-work before the class start and finish your assignment. The course will be more complicated after Node.js, and it will be harder to go back and study again. Its hard and fast paced, but at the end you realized you've learned a lot and what you don't know or didn't learn, you know how to learn it. Great career services. Our instructor, Rob, was the best. He brought software development to life and made it exciting. They have aids that assist during and after class. Stay focused because it's easy to get behind. Oh, make sure you do the pre-work before class starts and have a Mac. they were great. They were thorough and informative. If I had it to do over again, I would choose them hands down. As an individual that has previous professional experience and no familiarity with coding, I decided to further develop my technical skills by attending a coding bootcamp. The process to decide on which bootcamp was tough as I called different programs in both Austin and Houston, and based on my situation and what I was looking for, I chose DigitalCrafts. Having Veronica as the lead instructor and Katy as the TA made all the difference over this course. They eased me into learning how to code as I had no previous experience. Veronica created great supplemental slideshows to reinforce the concepts that she taught. The combination of lecture, supplemental reference material, and personalized help from both Veronica and Katy, this gave me the support I needed to become a confident developer. Also, they kept the class engaged and make the curriculum entertaining, which can be hard with a technical subject like programing. Near the end, if your goal is to find a job, make sure you start applying for jobs around the time career-week begins. Do not be deterred by imposter syndrome hold you back! You truly do know alot and just need to be more aware of the skills that you have attained. Some days be tougher than others and you may feel like coding is not for you, but just push through and stay focused. You will overcome those humps and at the end you will realize how much you have learned. The technical instruction and overall experience at DigitalCrafts exceeded all expectations I had of a coding bootcamp and has changed my life in ways I never thought it could. I really can't say enough good things or write a review that will do it justice. If you're looking for a coding bootcamp, you'll want to consider these six areas when making your decision. Class size / available assistance: Classes are limited to about two dozen people which is about the size of a high school class room. There is an instructor and two “DIRs” who are former students being paid to help you out in one on one situations. Between the three of them they were able to cover most everything the class could need at any given time. I got all the one-on-one support I could possibly use. Learning this type of material requires that you practice and “figure it out” at least partially on your own and so I don’t know that even if I had my own personal tutor that I could have utilized them to learn more efficiently. Bottom line, any time I needed help, someone was there to help me. Instructor quality: If you go on the DigitalCrafts careers page and look at the salaries they offer to their instructors, you’ll know that they only hire the best and are willing to pay top dollar for top talent. Our instructors have years if not decades of experience and have worked for some of the best technology companies in Atlanta. My particular instructor founded the course curriculum and is a 5-star Udemy instructor. The instructor for the other cohort is a former manager at a well respected technology consulting firm in Atlanta. DigitalCrafts also allowed us to have input when interviewing a future instructor as he gave a sample lecture to us one day. Their instructors are interviewed by the CEO directly and students are given opportunities to renew them multiple times throughout the course. Tech community experience: Quite simply, I don’t know how a bootcamp could produce a better community experience than DigitalCrafts. The class is taught in Atlanta Tech Village, a startup hub designed specifically for tech based companies located in the heart of Buckhead. As a student of the cohort, you become a full member of ATV and are completely immersed in the Atlanta tech startup community. I can’t imagine a better networking and tech culture environment exists in Atlanta. DigitalCrafts also brings in past students and current developers to give advice and speak about their experience in the working world and their past job search. Job search: Most non-technical employees of DigitalCrafts are current or former recruiters whose current job is to get you employed. There is a thorough process to get you ready to enter the job market as a new developer. They offer you support and guidance in all your “career assets” including but not limited to: resumes, LinkeIn, GitHub, online portfolio, mock interviews, technical challenges, networking, cover letters, meetups, etc. As a student, you will have access to their employer network and job board and industry knowledge on where to look for opportunities and how to get hired. Cost / Financing: The cost of the bootcamp is competitive with others in the market. There are multiple financing options available through a third party. You are able to enroll in the class with no money down and can even borrow some spending money. The monthly payment requirements are kept to a minimum until you graduate. There are multiple different options which you can customize to your own needs. If you find a bootcamp in Atlanta that is less expensive, and are thinking of selecting it just for that reason, I highly recommend you make sure you consider the financial return of receiving a high quality education and experience. A couple hundred or thousand dollars difference on a bootcamp is completely irrelevant when you think about the big picture of your career and long term success. Pick the bootcamp that is right for you based on other factors and make your finances work the best you can. Attending DigitalCrafts was one of the best experiences of my life and one of the smartest decisions I’ve made for my career and overall happiness. If you’d like to talk further, please get in touch with me directly. I am not the greatest at writing reviews, but I just had to because of my experience with my instructor, Veronica. You cannot ask for a better instructor than her. She is kind, patient, motivating, smart, and above all else, a great person to be around. If you are looking for a structured approach to learning, you should definitely look into joining her class. She normally has lessons in the morning and assignments after lunch. The slides she provides are extremely helpful, but only if you pay attention in class, so make sure you do! Always strive to do your best. It is the best way to progress in the class. It is pretty fast and the better you understand the topics, the better it will be for you when projects come rolling around. Don't be upset if you don't get topics right away. There were times, especially when we were learning node, that I felt lost. It will come to you eventually; Veronica has a way with her lesson plans that will trigger that lightbulb of yours. Give time for yourself to relax! As a former math teacher, Digital Crafts supported me a lot to make a big change on my career as a Full Stack Developer. With very little background, I was not sure how far I could go in software development area when I first started the immersive program. In the first a couple weeks, it made me feel anxious when I see challenges in coding. However, I always felt very lucky to have a great instructor, Azam. His instruction was changing all complex parts into small easy structures which made the concepts easier to understand. I was not hesitating to ask questions over and over to him since he was very open to help anytime, even after course hours via the slack. Another great thing was to have very supportive, dedicated and knowledgable DIRs who gave their all time for our questions. On the other hand, these positive opportunities were not enough by themselves. If you are really passionate about software development and pursuing your career in this area; commuting to the course, listening the instructors and doing the assignments are not enough at all with little background. I was spending my nights and weekends to do extra learning and extra projects to understand better, most importantly to practice, practice, practice. The most important takeaway was to learn how to google things to fix the problem, it is becoming your helper overtime as you progress in weeks. I have started job applications two weeks prior to graduation. Since the skills we have learned in the course were from cutting-edge technologies, I could not find enough number of opportunities in Houston. Houston area companies are usually looking for .NET, C++, C#, Java and etc. If you are open to relocate, you can decrease the time you spend for job hunting. After graduation, I made lots of search to learn strategies regarding how to apply jobs. After I explored the things about it, I believed that there may be another bootcamp only for job searching part :) . I am glad that I have landed a job as a Full Stack Developer in Houston 3 weeks after graduation and glad to experience such great times with Digital Crafts. 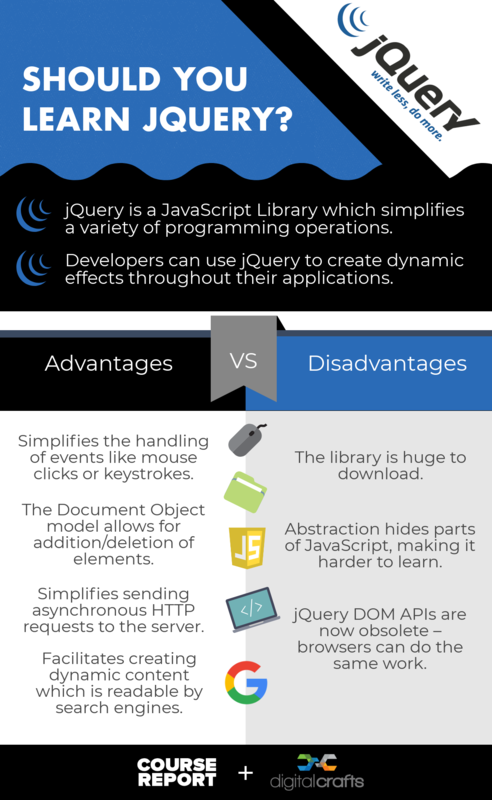 If you want to deeply understand how Web development works, you've come to the right place. The program teaches you the fundamentals of the web development from scratch -- from the theoretical aspects of object-oriented programming, to the actual skill of how to write an HTTP request. The instructors are great -- always willing to answer questions, provide their knowledge and experienced perspectives while building web applications. The first ten weeks help you get a feel to build quality full-stack web application. I remember my first week at the program, how much difficulty I had to write and solve some simple array questions, then last week(16th), how cool web applications I had created. Our DIR's were all amazing - they were always eager to help someone through an issue. This course is not easy and will take a lot of dedication, but will pay off if you work hard. I would definitely recommend DigitalCrafts for both beginners and CS graduates and suggest them to do as much of the pre-work as possible so that once you're in class, you can spend more time trying to understand the more complex topics rather than struggling with the basics. I completed my 16 week program Jan 2019. Prior to attending a bootcamp I was working as a Microsoft T-SQL reports developer. However, on the side, I always enjoyed learning other coding skills, dabbling with small snippets of code with hopes of using them at work. I finally decided I wanted to build on those skills and finally decided to enroll into a web developer bootcamp hoping that it will get me closer to pursuing a career as a web developer. Above are my personal reasons but as far as choosing DigitalCrafts specifically, I just didn't know enough about all the technologies that are mentioned on their curriculum. Node.js, MongoDb, PostgreSql, Express.js, etc.. all sounded foreign but sounded good. After digging deeper into what those were in general and their uses, I finally decided I wanted to learn these technologies. And last, I just really liked the reviews from previous students. I know now that what I knew prior to the 16 weeks was really not a whole lot as far as web technology is concerned. I have learned so much more since then. Eventhough I completed the course, I am still very much a junior web developer. However, I had really good help from my teacher and TAs throughout. I also have good direction going forward. I was lucky and very greatful I got a great teacher to learn from. Thank you again Azam! Also thank you to our awesome TAs Stephen and James! Other than that, I am still looking for employment = ) but have better skills to move forward! A year ago I was driving for Uber and selling things on eBay to support my growing family. My plan was to become a software engineer but the obstacles were enormous. I had no college credits, no coding experience, and no time to waste. Choosing a coding boot camp was a big decision. I finally went with DigitalCrafts as they offered a cutting-edge curriculum and had great reviews. My first day in class I looked around the room. It was full of smart, committed people who were eager to learn. The energy of the students and staff was palpable. I knew I had made the right choice. The next four months were intense. The pace was fast and a couple times I felt overwhelmed, but each weekend I found myself impatient for Monday. I spent happy hours coding, collaborating on projects and playing ping pong. I had many conversations with the entrepreneurs and developers who shared Atlanta Tech Village. Weeks after graduation, one of the entrepreneurs hired me to build a React web app. This allowed me to hone my skills as I continued applying for a permanent position. Three months later, my job search is complete. This morning I accepted a Software Engineer position at an amazing company. Thanks to DigitalCrafts, my future and the future of my family is looking up. I am grateful to the many friends I made on this adventure: my teacher, Jonathan Martin, the founders and staff at DigitalCrafts, my fellow classmates, the students from earlier and later cohorts, and every senior engineer who kindly shared their tips and experience. I attended DigitalCrafts' Sept 2018 - Jan 2019 Full-stack Immersive cohort in Atlanta, and it was the best career decision I could have made. After 20+ years in the telecom vendor industry, I was hungry for a career change. I dabbled for a couple of years with numerous online resources (edX, Coursera, Udemy, FreeCodeCamp, etc) but finally recognized I needed to attend a bootcamp with a strong, full-stack curriculum if I was going to feel confident enough to change jobs. All of these reasons proved to be true, and I never regretted my decision to attend. Being 47 years old, I was nervous that I would not fit in with the other students, most of whom were in their 20s and early 30s, but that was never an issue. There is a real sense of community, both inside the classroom, and throughout the ATV facility which is also home to many tech start-up companies. At the free lunch ATV provides on Fridays, you can sit with your fellow students, or grab a seat with a stranger and listen to them practice their elevator pitch for their startup (and maybe even get a job offer). The reviews here are full of compliments about the instructors, and I whole-heartedly agree, so I won't repeat how amazing they are. DigitalCrafts does an excellent job finding experienced and knowledgeable people who know how to teach to serve as their instructors. Each cohort has a lead instructor and one or two teaching assistants and they all go above and beyond, frequently staying well after class and providing regular office hours to offer any extra help as needed. You not only learn how to be a full stack developer (with HTML, CSS, JS, and React on the front end, and Node, Express, PostgreSQL on the backend), but you also learn the important skill of deploying what you build on AWS cloud servers, which comes in handy when you want to quickly show an interviewer what you have created. Lastly, the career services at DC exceeded my expectations. They stop short of guaranteeing you a job, but they do everything possible to put you in a position to succeed in your job search. There are frequent sessions where the importance of resumes, portfolios, GitHub, and LinkedIn are discussed, and the DC career services team works with you to build and improve each of them. Interviewing advice is offered regularly and you get to do a mock interview to practice your interview skills. We took a class trip to the office of a local web dev shop to see firsthand how their developers work in an agile team environment, and there were several guest speakers who came in later in the cohort to talk about job search and career advice for new developers. This all paid off for me (and several other classmates) as I had a successful interview, which led to a job offer during the final week of my cohort. I am now enjoying the one week break from the end of my cohort to my first day at work as I start my new career as a software developer. I will be forever grateful to DigitalCrafts for helping to make that possible. I am a former teacher and was looking to attend a coding bootcamp. I did some research of the available classes in Houston and found that DigitalCrafts had high ratings and success stories. I now know why they have such high ratings! I had Veronica as a teacher and it was an absolute blast. I didn't realize software development could be so fun! This class is most definitely challenging, but it's rewarding. If you are thinking about signing up, do it. You won't be disappointed. Take the pre-work very seriously and be ready to work hard and overcome many challenges! Earlier this year I decided to quit my job and attend the Full Stack Immersive Program at DigitalCrafts. I had no prior coding experience, so I was definitely nervous about understanding the material and keeping up with the pace. The four months were definitely a roller coaster ride. There were days that I would quickly grasp concepts and then there were days where I struggled to put code on the screen. And as easy as it was to second guess my decision on those days that I struggled, I saw my struggles as a sign that I was learning and challenging myself. I wouldn't be gaining anything if everything was easy. Learning fundamentals is stressed throughout the course instead of introducing the easier shortcuts right away. The curriculum is robust, so you get exposure to different areas of full stack development. The projects are awesome because they allow you to go through sprint-like scenarios that you may encounter in a job setting. The projects also allow you to own the project from beginning to end. You are coming up with the project idea, then you design and develop your project, and then you are able to deploy it for the world to see! The project weeks were easily the most exciting parts of this course! I truly enjoyed my time at DigitalCrafts. There is a reason why they are rated so highly. The staff was always supportive and there to help in any way they could. Our instructor, Jonathan, was so passionate about helping our class not only learn to code, but to code well. He emphasized the better and more conventional ways to do things and he encouraged us to avoid improper use of code. Jonathan had over a decade of experience but he was able to break down concepts and clearly explain them so that those of us with no coding background could understand. I feel well-prepared for my career change and I could not be happier with my experience! I definitely recommend this program to anyone looking to make the leap into web development! I could not have been happier with my experience at DigitalCrafts. Prior to attending this bootcamp, I was working as a Paralegal and trying to learn to code on the side. I knew that in order to make the career change, I wanted something full-time and in person to really ramp up my learning. That limited my search to bootcamps in Atlanta. In that regard, everything I had heard really pushed me towards DigitalCrafts. I based my decision on reviews, personal testimonials from DC alumni in my network, and overall just a good deal of online research. As many people will tell you - you really do get out of this what you put into it. If you have the time and the money to devote to this, and you are ready to put your all into it - then I highly recommend attending DigitalCraft's Full-Time Immersive program. 1. Group Projects - this was huge and something that I feel really gave me a lot to talk about in interviews. We had 4 big projects throughout the 16 week program. In each one, you have to come up with something unique for your group to work on, plan out the work flow, and then actually execute everything in about 1 week. You start learning to solve problems that may not have been directly discussed in lecture, communicate effectively in a group, and constantly adjust your product to fit what you have the time and capability to accomplish. 2. The Instructor - My instructor was a very good speaker, and someone that excelled in breaking technical concepts down into something people with very little experience or background knowledge can understand. There is a huge difference in learning by randomly googling, versus learning from someone that really focuses on best practices and figuring out the most efficient, logical, and readable way to accomplish something. I can not say enough great things about Jonathan. My approach to learning coding was originally to learn content through online platforms like Coursera and Udemy while practicing on freeCodeCamp. I spent about half a year at it, and learned quite a bit, but I hit a point where I knew that to keep myself motivated I would need to find a classroom setting where I would have a structured environment to learn. My background is that I have always been strong in math. I took an AP Computer Science course over 15 years ago and did well in that, but pursued Psychology in college and taught elementary school for six years before deciding to pursue coding again. I gained a lot out of DigitalCrafts. The curriculum is fast-paced and even the material that I thought I had already learned was presented in a new light. I learned to think critically about not just how to program, but how to program well - what design patterns were elegant and what patterns should be avoided due to inefficiency or likelihood to cause bugs. The curriculum was geared towards developing a strong foundation of skills and then challenging students to figure out the more advanced tooling in teams. The team projects were both difficult and enlightening. Working in groups, we learned both how to use tools to manage project collaboration, something you just don't learn on your own, and explored techniques and technologies that were not directly taught in class. In a field where new technologies are being developed all the time, developers must adapt and be ready to learn and implement them to stay relevant in the field. We built full-stack applications with multiple features, having to set up database tables, backend routes, and front-end dynamic interfaces for each feature. This incremental development across the stack reinforced the skills learned in class. In addition, we built what we wanted to build, so we repeated implementations of technologies on intrinsically motivating projects, while learning new things required for each additional feature. I cannot think of a better way to learn. The instructor was personable, dynamic, and interesting. The class environment was supportive and positive. The staff was full of friendly, helpful people. Before the actual review of the bootcamp itself, let's establish some setting: DigitalCrafts is located on the 4th floor of the Atlanta Tech Village, a beautiful building, collaborative space, and tech hub in downtown Buckhead. It has lots of windows with great views of the city and a big flatscreen in front of the elevators on the first floor that tells you, every five minutes, in glorious high-definition capital letters, to HUSTLE. You will meet some VERY interesting people here if you're open and willing to do that. Now let's get to my educational experience in the full-stack immersive program: because of DigitalCrafts, I am now fully prepared to work as a software engineer. Every single day in Johnathan's classroom was a worthy challenge and a very cool experience, and the level of required focus brought on a personal cognitive shift. I don't just know how to code now, I'm a more open and direct communicator and a more rigorous thinker. I feel totally prepared for the real and virtual world of software engineering, and perhaps more importantly, I'm having real conversations with the people who can make that happen. The most I've learned in a long time. I could not string together words in an efficient enough way to accurately describe how amazing my experience was at DigitalCrafts. Every step of the cohort was an amazing experience. Each member of the staff genuinely cared about the success of each and every student. Zakia and Liz work especially hard to make sure students are content and successful throughout the cohort. My instructor was Johnathan and I cannot speak high enough about his skills as a teacher. He is a true genius and brings a great energy and heightened level of charisma to all of his lectures. He placed importance on learning the basics and foundations of programming - we would often learn stuff the 'hard' way first before moving on to material that better solves the problem at hand. This way we knew exactly what was going on behind the scenes when we were using certain functions in our programming. Johnathan and our DIR's Rachel and Ben were all amazing - they were always eager to help someone through an issue, but they would never provide the answer. They would make efforts to guide the student towards to solution so the student could truly have that, "AHA!" moment when they understand the problem and the solution. I attended college for 4 years and I can honestly say that I learned more in this immersive cohort than I did when I was at college, that is because I was learning entirely new languages and problem solving skills that were mostly foreign to me. If you are considering a bootcamp in the Atlanta or Houston area - I would tell you not to look any farther than DigitalCrafts. They are very good at what they do. About five months ago, I made the craziest decision of my life: to quit my full-time job, move states, and join DigitalCrafts, with no background in technology. Now that I'm finished and looking back, I can confidently say it was the best decision I've ever made. Everyone at DigitalCrafts, from the students, staff, and instructors created the best, most optimized environment for learning. DigitalCrafts gave me access to tons of resources, from resume and portfolio guidance, mock interviews, and 480 hours of instruction, but by far the best thing they ever gave me was the empowerment to learn and try new things, things I was always too scared to try. The projects and knowledge I've learned through this bootcamp will undoubtedly allow me to bring value to any future workplace, and the relationships I've built with my fellow students will last a lifetime. I can't recommend DigitalCrafts enough, and if you're on the fence: Just do it. Take the leap. DigitalCrafts will do everything in their power to ensure your success. I dropped my last job as an electrical engineer to learn full-stack web development at DigitalCrafts. I can say that it was absolutely worth every penny. I had Veronica as my instructor and she made coding super fun and enjoyable. The environment is extremely conducive to learning and you will learn a LOT in 4 months. At times it can be very stressful, so it really helps when you have an instructor that goes out of their way to help students succeed. DigitalCrafts cares very much about imbuing their students with the tools to make it in the world of software. If you're at all serious about getting into web development, DigitalCrafts is a no-brainer, especially for those in the Houston area. Overall I would rate 5/5, would recommend to a friend. Work hard and take their curriculum seriously and you will come out with a solid foundation for launching a fruitful career in web development. When I decided to make a change of career to Software Developer I was a little afraid I was gonna be really lost because I had no coding experience, but after doing a little research I found Digital Crafts, which had really great reviews and everyone said the program was amazing, so I decided to do it. Today I'm so happy I found it and I'm so happy with my decision to do it because it really is one of the best experiences in my life. The amount of things you learn in four months is crazy (good crazy). It takes a lot of commitment, work and dedication to learn everything but everyone is so helpful and always willing to help you with everything. The instructors are amazing, the program is amazing, all the digitalCrafts team are amazing and friendly, so for everyone who is thinking about going for a change and are not so sure to just go for it because you have no experience or very little experience, my advice to you is to just go for it and go with digitalCrafts, you will not regret it and personally, i'm really impressed about where I am now, and where I was four months ago. Veronica was an amazing instructor and was always able to teach complicated topics in a simple, understandable way, and the TAs were always there to help students with whatever problems we would face during our projects and homework. Veronica always made sure all of us were understanding what we were studying and made it fun. One of the TAs(James) even came to the school on a Saturday to help me and two others on issues we were facing on our projects and stayed till 8:30pm coding with us and making sure we understood the concepts we were struggling with. I would definitely recommend DigitalCrafts for both begineers and CS majors and suggest to future students to do as much of the prework as possible so that once you're in class, you can spend more time trying to understand the more complex topics rather than struggling with the basics. This course is the best investment of both my time and my money that I've made in my career. If you've been teaching yourself code through tutorials and books, but are having a tough time pulling all those elements together to build projects from scratch, DigitalCrafts will get you there. You just have to be willing to put in the work. The instructors were another big positive here. Lachlan and Adam are both extremely knowledgeable, and have each carved out great tech careers. Folks that are lucky enough to find a technical mentor have a huge leg-up in teaching themselves to code. Not everyone has access to a mentor, so having these two industry experts to ask questions to and learn from for 6 months was a huge part of the value of this course. I'd also say the folks leading DigitalCrafts are very open to feedback. We saw quite a few changes made on the fly based on feedback from students, and I've already heard some great ways they're improving future cohort's courses based on our experience. Finally, the structure of a classroom environment and a cohort of peers all learning and struggling with the material alongside you really helps. When you try to teach yourself watching YouTube tutorials and you don't understand something, there's not much you can do other than find another one or keep re-watching until you understand it. When you are in a classroom and you don't get something, it's likely there are other classmates that don't get it either. The instructors are pretty good about checking for understanding, and can find another way to explain the topic until everyone's on the same page. I don't count this as a "negative", as it's not part of what the course sells itself as, but Computer Science fundamentals like algorithms and data structures are not covered in the course. Learning these makes you much stronger in tech interviews, so I'd recommend taking the more CS-themed electives as they become available, and spending a lot of time becoming practicing these kinds of problems on leetcode.com or codewars.com. 75% of job obtainers reported salaries. 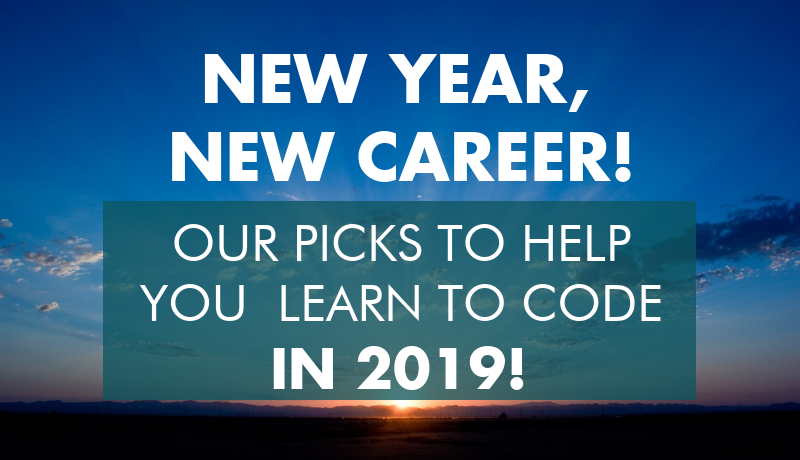 Have you ever set a New Year’s Resolution to start coding? Melissa Cantu researched coding bootcamps for years, but resolved to make 2018 the year she made a career change. 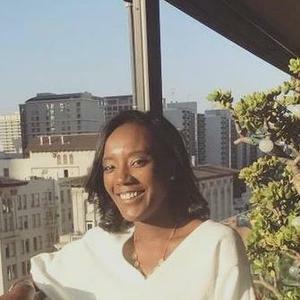 To make her goal a reality, she decided to invest in a coding bootcamp with DigitalCrafts in Houston. 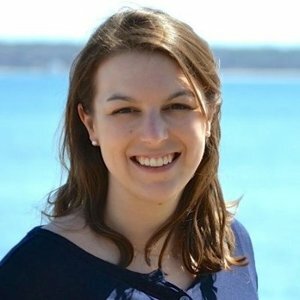 We spoke with Melissa about her journey going from having very little technical experience to being a lead developer for a startup in just four months! What was your background before DigitalCrafts? Why did you decide to change careers? I have a bachelor’s degree in Business Administration with a concentration in Marketing and after graduation, I worked at an insurance agency helping with their marketing and social media. I had always liked technology ever since I was a kid and my mom always supported me and encouraged me in that direction. I liked business but I was interested in coding, so I started considering schools to improve my skills. I thought that attending a bootcamp would be a faster path and it was one of the best decisions I’ve ever made! I took a free Ruby coding course to see how much I really wanted to invest in a bootcamp, so I started in Ruby and went into HTML and CSS from there. How did you decide on DigitalCrafts and what were you looking for in a bootcamp? I actually researched for 2-3 years before taking the jump into a bootcamp. I was looking for schools with good reviews of the curriculum and student experiences. I also wanted to see how much students needed to know before starting the bootcamp, and what they offered in job support when the bootcamp was over. Finally, I made 2018 the year to push my career toward coding. I looked at bootcamps in Houston again and DigitalCrafts came up - it had great reviews, and the students left great comments about the teachers and materials. I also learned that I'd get exposure to their employer network and get personalized feedback on my resume and portfolio, in addition to mock interview training. What was the application and interview process for DigitalCrafts? It was tough for me because I didn’t have much coding background, but DigitalCrafts provides you with enough information and guidance to do the challenge. It wasn’t easy, but it was really satisfying once I passed. After that, you have an interview (in-person or virtual) so they can get a sense of your interest and help you understand the commitment to the program. I had a virtual interview and received my acceptance letter later that day! How did you pay for the bootcamp? Did DigitalCrafts provide different financing options? DigitalCrafts has a number of options to pay for tuition now, but when I did it you could either pay upfront or take a loan. I had to send a $1,000 deposit to reserve my spot and I took out a loan for the rest of the tuition through Skills Fund, recommended by DigitalCrafts, and I’m paying it back now. Editor’s Note: DigitalCrafts now offers an Income Share Agreement where students can pay for the bootcamp once they’re employed with a minimum annual salary. Who were the other students in your DigitalCrafts class and what were their backgrounds? It was really diverse and people came from a number of different backgrounds. There were about 13 of us total – three of us were women and the rest were guys. It was nice that I wasn’t the only girl in the group! We all bonded really well and by the end we felt like a team. What was the bootcamp learning experience like? What was your final project at DigitalCrafts? The final project was my favorite one because we got to work with actual companies and do projects for them. I worked with a digital agency that needed a progressive web app to assist people in finding quality bars, parks, cafes, and restaurants within walking distance. (A progressive web application is a web application that behaves like an app, but you don’t have to download it from the Apple or Android store.) In the app, the options shift, are removed from the list, and new places are added as you walk and your location changes. It was a really interesting idea, but our team didn’t know how to build a PWA! I worked on it with another classmate and it gave us some great experience working with a client and building a project based on their needs. It’s cool that you got to work with a real client for that project! If you didn’t know how to build a PWA going in, then how did you learn? Although I didn’t had any experience with PWA’s, I felt pretty confident in executing the project. This is because at Digital Crafts they teach you how to understand and create new things and search for a solution if you run into a problem. At Digital Crafts you don’t only learn what it’s on the syllabus! What are you up to now? Have you found a job as a developer? I have! The agency I worked with for BeePowl had a startup client called VIPInsiders, and they needed developers for their project. The company provides loyalty programs for restaurants and they reward users with perks like free drinks with a paid membership. The agency connected me to the client, they interviewed me, and now I’m working there as a Lead Developer! The team is currently just me with the two founders so it’s really cool because I’m learning a lot and building a brand new project. What does a normal day look like for you as the Lead Developer at a small startup? What’s been your biggest challenge over the past year in making this career change? When I started the bootcamp, I was feeling fine, but eventually I ran into some roadblocks that made me question what I was doing and whether I had made the right decision. Sometimes the instructor would teach a concept and I felt like everyone understood except me! But the teachers were really good and were helpful in explaining anything I didn’t understand. By the end of the course, I was much more confident. It was such a quick transition in four months but I went from being brand new to coding to knowing enough to get a job. And if I don’t know how to do something, I know where to find the information to teach myself. DigitalCrafts also had a Career Week where they help you build your portfolio and your resume, and they give you a mock interview so you can know what to expect. What advice would you give to bootcampers when they’re trying to get their first job? I’d suggest practicing the coding challenges before interviews because if you know how to break down a project into individual steps, then you can understand the overall process, even if you’re not sure what to do next. Being able to present what you know is critical for an interview. What else would you tell a friend who might be considering a bootcamp? If you’re not sure about taking a bootcamp because you don’t have tech experience – just go for it and apply! I didn’t have a tech background and now I’m working as a software developer for a startup. I’d also recommend DigitalCrafts because it was a great experience and all the teachers were amazing. Interested in making a career change to software engineering? Learn more about DigitalCrafts on their website and read reviews on CourseReport. 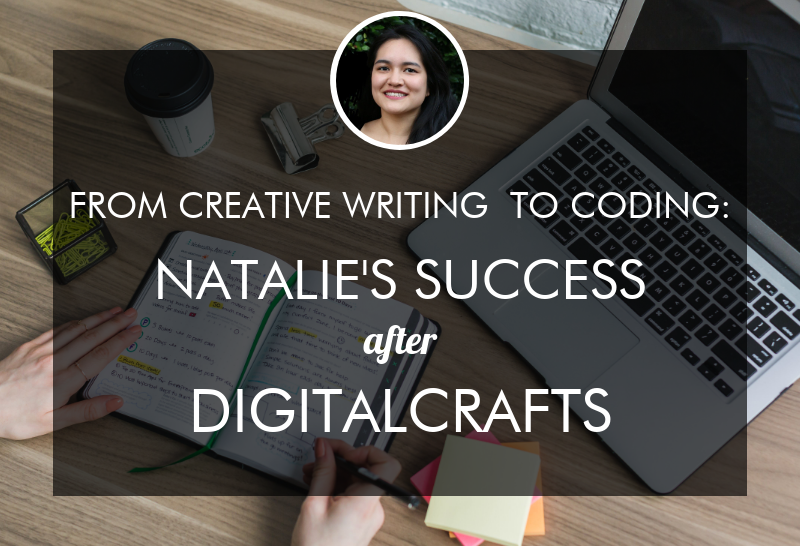 During the senior year of her Creative Writing degree, Natalie Villasana took a computer science course and loved it, but felt it was too late to switch her focus. 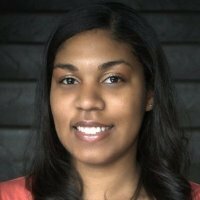 After graduating, she decided to move home to Atlanta and enroll at DigitalCrafts coding bootcamp. Now Natalie is a Software Engineer at a decentralized cloud storage company called Storj! Natalie tells us about her newfound interest in Blockchain, how she ramped up and learned new programming languages at Storj, and why it’s important to encourage more women into tech. To make a career in technology more accessible, DigitalCrafts offers automatic scholarships for women entering the full-time and flex bootcamps. Tell me about your career and education background and how your path led you to DigitalCrafts. I actually did DigitalCrafts right after graduating from Oberlin College, where I majored in creative writing. I was also in a research program that was grooming me for a PhD, but I realized that I didn’t want to do academic writing or write for publications after college. At the time, I was also making art and abstract videos and I felt computer science was a very different world. But video mixing got me more interested in coding. I wanted to learn how to process audio and video without a graphical user interface (GUI), as I had been using Max/MSP up to that point. I’d been a little intimidated by computer science and math courses, but in my last semester of college I took an intro computer science course. I immediately thought, "Oh, no, I really like computer science but it's too late to change my major!" I found out about coding bootcamps and started learning more about them. And before I graduated college, I applied to DigitalCrafts. What made you decide that a bootcamp like DigitalCrafts was the right option for you rather than switching your major to Computer Science or teaching yourself? I was also considering community college courses in computer science. But I started to realize that computer science programs teach more conceptual topics, which is different from the practical web development applications that a lot of bootcamps teach. I asked a computer science professor if I could learn web development on my own, and he said, "You could, but you would need a lot of self-direction." Coding bootcamps seemed really appealing because they laid the whole curriculum out with career preparation. Looking back, if I had taught myself, then I definitely don’t think I would be working as a Software Engineer at Storj today – it would have taken me a year or more to get a job in tech. Did you consider any other coding bootcamps? I considered Thinkful (an online bootcamp) General Assembly, The Iron Yard (now closed), and Georgia Tech Coding Bootcamp. I actually strongly considered the Georgia Tech Coding Bootcamp, but the price and the small cohort sizes at DigitalCrafts made me choose them. I also just had a very positive experience talking to the people working at DigitalCrafts when I was applying. What was the DigitalCrafts application and interview process like? Was it hard to get in? After I applied to DigitalCrafts, I did my interview via web conference because I was in my final semester of college. I talked to Max and Jake, who were really informative and didn't sound like car salesmen, which I did feel when talking to some other bootcamps. I took a fairly straightforward, 10-question, online coding challenge – I was really stressed about it before, but it turned out to not be any worse than the homework I'd done in my computer science class. Once you got to Digital Crafts, what was that learning experience like? The full-time course was 9am to 4pm. The structure and teaching style was a mix of lectures, demonstrations, and explanations of certain principles, concepts, technologies, or framework, and then exercises. Towards the middle of the program, we did group projects with 3-5 people per group. I was used to college, so I adjusted to the flow of DigitalCrafts fairly quickly. In terms of the group demographics, I was on the younger end. The majority of people were late 20s or early to mid-30s. There weren’t as many women as men. We started with 17 or 18 students, and by the end, we had 13 students, so the class size was super small. What was your favorite project that you built at Digital Crafts? Great idea! How did DigitalCrafts prepare you for job hunting? What kind of career advice or assistance did you get? We had a career week and there was a Career Services team specifically dedicated to helping us with our portfolios, resumes, GitHub repositories and LinkedIn. So I definitely felt the support. Toward the end of the bootcamp, we had to juggle applying to jobs, as well as continuing to learn React or Redux in the curriculum, polishing our group project, writing cover letters, etc. Congratulations on your new job! How did you find it? Thank you! I was super fortunate. DigitalCrafts is in the same building as Storj, where I work now. I ran into one of the Storj co-founders at a lunch place across the street. We went to high school together and I didn't realize he was the co-founder. He was really friendly and I told him that I was learning to code and was interested in learning more about the company. Storj is a cloud storage startup and was immediately compelling to me. I didn't really get what blockchain was at the time but everyone was like, “It's cool and trendy,” so I wanted to find out what the deal was. I visited the Storj offices, talked to developers there, and learned more about distributed systems. Storj functions like Google Drive, but your data is encrypted and dispersed across different users’ computers, instead of mined for profits. Instead of storing data in big data centers like Dropbox, Google Drive, or Amazon Web Services do, data hosted on Storj is actually stored on different people's computers around the world. Some people liken it to Airbnb for your computer – you host other people’s files. So I applied, went through the interview process and was super lucky to be hired before my cohort ended. What do you work on at Storj? I started as a Junior Developer, but have been promoted to Software Engineer. There were about 13 employees when I joined in October 2017, and it’s since grown to around 40. Right now I’m working on something called the pointer database, which keeps track of which file segments are on different storage nodes in the network. It's keeping track of the addresses of where those segments are. What was the learning curve like when you first joined Storj? Did you have to learn a lot of new languages, or did you feel like DigitalCrafts had prepared you pretty well? DigitalCrafts prepared me pretty well for my job. When I started at Storj, the codebase was written in Node.js, which I'd learned at DigitalCrafts. About five months in, I had to learn Go, but the majority of the other Storj developers had to learn it too, which was nice. One of my coworkers told me he was surprised that I knew so much coming out of a bootcamp (he'd done a different bootcamp a few years ago)! As a developer, I think you're always supposed to feel like there's something else to learn. You're never 100% completely sure of your code because contexts and intentions change, different people will read it and work on it (or should) so that it stays useful. I think I've grown most in realizing things don't have to be perfect or engraved in stone. You just have to make it work. Has your background in creative writing been useful as a Software Engineer? In general, there is a lot of writing in my role as a developer. At Storj we have our code on GitHub – one of our goals is to have friendly documentation so that non-internal people know what's going on at Storj. I also understand the importance of the review process because of my background in creative writing. In coding, when your team is working on different parts of the codebase, you should be able to explain how those parts fit together; that goes for both writing and programming. I didn’t realize this going in, but some software developers don't like writing documentation. It becomes a chore for some developers, after they’ve already written their part of the code. But documentation is so important – it explains your intentions and how your code fits into the larger project. For me, proactively documenting is super important and has been a handy skill to have. How have you grown in the world of Blockchain? I'm actually speaking at a Blockchain Conference in September! I am giving a presentation with a coworker, Alex Leitner, about a project that he wrote called Robinhood Coin, and about how to use certain tools for developing on Ethereum blockchain, writing your own smart contracts with Solidity, and creating apps that can interact with the Ethereum ecosystem in the browser. I don’t actually work on blockchain technology for my role at Storj – it’s more of a hobby. The blockchain community has an interesting culture that I didn't really know about before joining Storj. Some people get excited about the distributed system aspect of Storj, and other people get excited about blockchain, but there are so many different people in the community. Has anything stood out to you as a woman starting your career in tech? When I first joined Storj, I was the only woman in the Atlanta office and even though my coworkers were friendly and inclusive, it was still a little lonely. There were other women in San Francisco and Salt Lake City, but I was the only one in Atlanta. I know there are much worse circumstances than that out there in tech jobs for women, so I'm lucky for that. But I definitely think it's important to have more women creating technology. For example, there have been issues with the iPhones’ facial recognition software unable to tell some Asian people apart (despite people in Shenzhen assembling the majority of iPhones), or where an automatic soap dispenser dispenses soap to white people’s hands, but not black people’s hands, because it couldn’t detect darker skin colors. I know this isn’t necessarily related to web development, but I think it shows what happens when technology is designed for certain people by certain people and not others – at an extremely large scale. I think the same effect happens when predominantly cis-men have control over programming and designing software. When we exclude women or trans people – there’s a deep cultural and economic exclusion that happens. DigitalCrafts actually encouraged blogging while I was doing the coding bootcamp, and Code Like a Girl asked if they could publish one of my posts. I wrote a piece about how I first learned what coding was! I'm also glad that DigitalCrafts is offering scholarships for more women. Recently, another female DigitalCrafts grad from my cohort joined Storj. So I was super excited about that! What advice do you have for other people who are thinking about making a career change by going through a coding bootcamp? Understand and plan for the fact that a coding bootcamp is a major commitment. At DigitalCrafts, some people who joined at the beginning had other life events going on, or weren't able to commit full-time. I was super lucky that I was able to live with my parents and have that external support. I know that not everyone has that, but it’s super important to have a plan to take care of yourself while you're doing the bootcamp. One thing I recommend: contribute to open source projects! There are lists of open source repos on GitHub that you can contribute to – sometimes there are even issues tagged as ‘newbie friendly’ to get started on. Showing that you can work on other people's code and that other people can read your code is important. I would also highly recommend getting involved in local meetups and hackathons. Women Who Code ATL is super welcoming and always hosts amazing events and workshops! I do know stories of people who are self-taught and got tech jobs, but for me, DigitalCrafts definitely sped up the process. There’s a misconception that you have to be a genius to code – this is a gatekeeping aspect of tech culture. But you really don’t! Coding is much more about learning, iterating, and editing. No one's output is perfect. Coding can be super creative, fun and visual. I would especially tell women to not get discouraged – instead, find communities and resources online and offline that are extra supportive for people who don't fit the “tech bro” mold. Find out more and read DigitalCrafts reviews on Course Report. Check out the DigitalCrafts website. Kim Lim worked in the Atlanta restaurant industry for about 7 years before she decided to switch gears and become a front end developer. One of her regular customers suggested she check out DigitalCrafts coding bootcamp in the neighboring Tech Village to break into the tech industry without going back to college. Now that Kim has graduated from the DigitalCrafts Full Stack Flex Program, she tells us about balancing a full-time job while studying, being a woman in tech battling Imposter Syndrome, and why she chose to become a Developer-in-Residence to help teach new bootcamp students! What is your pre-bootcamp story? Describe your educational background and last career path. I have been in the restaurant industry for about seven years. When I started college I wasn’t sure what I wanted to do, but I majored in Hospitality Administration at Georgia State University. My goal was to be an events manager, but when I graduated and got an events position, it wasn’t what I expected. I worked on events, marketing, and the company website, but felt the role was a work overload. I picked the pieces that I enjoyed most about the role which included working on the company website, designing event flyers, and doing social media outreach. I managed a restaurant called Farm Burger and while I loved it, that wasn’t my end goal – I was looking for a more creative outlet in an industry where everyone was striving for the same goal. Did you try to learn on your own before you enrolled at DigitalCrafts? What types of resources did you use? At Farm Burger, I was able to help out with simple website updates on Wordpress. I had enjoyed working with HTML and CSS since middle school, and in high school, I was actually the senior ad and photography editor for the school yearbook staff. I was self-taught with HTML and CSS. I also did FreeCodeCamp courses online. How did you first learn about DigitalCrafts? Farm Burger is right down the street from the Tech Village here in Atlanta. Wanting to see where I could learn web development without having to go back to college, I reached out to one of my regular customers to ask them how I could get my foot in the door of the tech industry. She suggested DigitalCrafts, which is in Tech Village. I did more research on the school and the alumni on Course Report, and DigitalCrafts made it pretty easy to choose them. Did you research other coding bootcamps? Why was DigitalCrafts an “easy” decision? I wanted to learn in-person – not remotely – and I wanted to stay in Atlanta. I prefer learning in a physical classroom and having a teacher there to review my code. When I was researching, it came down to General Assembly and DigitalCrafts, but General Assembly had mixed reviews. Price was also a factor, but so was the length of the course. I did DigitalCrafts’ Full Stack Flex cohort from August 2017 to February 2018, which was 24 weeks. Since I was going to learn this brand new material, I wanted to take a course that was longer than 10 weeks so that I could budget time to study while also working full-time. Did you consider doing a 4-year CS degree? What was the DigitalCrafts application and interview process like for you? I set up a tour of the classroom and had a sit-down talk with DigitalCrafts’ co-founder, Max McChesney. We discussed what I was looking for in my learning and what the course could provide. My final step was to do a code challenge that was less than 10 questions. I had to set variables, which I didn’t know how to do before, but I was able to use Google to find the answers and solve the problem. The questions got harder as you moved forward, but I think I only got one syntax error wrong. That application process made me feel at ease about transitioning to become a front end developer. What made you want to specialize in front end development rather than back end development or the full stack? DigitalCrafts is a full stack course, but I realized my interests were more towards the front end because I wanted to be a mix of designer and developer – I’m looking for that happy middle place. I love UX/UI design which somewhat matches my hospitality background of making sure guests have a good experience in person and on the website. So I love the idea of design and solving problems with it. There were about 15 people in my cohort, and four were women. It was intimidating at first, but coming from a restaurant background, I’m used to working with a mix of different people. The worries that I initially had about being a woman in the space went away after the first few weeks. There were other students from the restaurant industry, some who were already in the tech industry, and one person who was a barista at Starbucks. It was nice to feel that I wasn’t alone. I realized that everyone was there to learn. Even though we came from different walks of life – we all had something to contribute. During group projects, we all looked to each other’s strengths to solve problems. What was the learning experience like at DigitalCrafts? Did the teaching style match your learning style? We had two instructors – one for back end development and one for front end development. Topics of the course were mapped out by each week, but there was flexibility in the syllabus if certain subjects were a little more difficult for the class. There were two different teaching styles – one instructor used lecture, group work, and individual assignments to teach the material. The other instructor, who focused on back end development, liked to throw the students in the deep end to complete assignments, which was a little difficult. What was your favorite project that you built at DigitalCrafts? Was it an individual project? At first, I wanted to do an individual project, but creating a full stack project was not totally feasible, given the time frame. I had a working idea, so I reached out to my friend Cliff who was also in the class, and he agreed to work on it with me. Our project is called Regimen – it’s a social e-commerce recommendation platform. I follow beauty bloggers and other influencers, and always want to know what products they use. Users can create a profile stating their hair type, diet restrictions, skin type etc. and then review and comment on various beauty and health products as they appeal to you. Users can describe why they like certain products and people can view other users’ profiles and read recommendations. The platform is not currently live, but we’re still working on it! We used Reactjs, NodeJS, Postgres SQL, Passport JS, Express JS, Bootstrap for responsiveness, and JWT.io for encryption. Where are you working now? Tell us about being a Developer-in-Residence with DigitalCrafts. I’m still working at Farm Burger, but I’ve stepped down from my management role to focus on my transition to the tech industry. 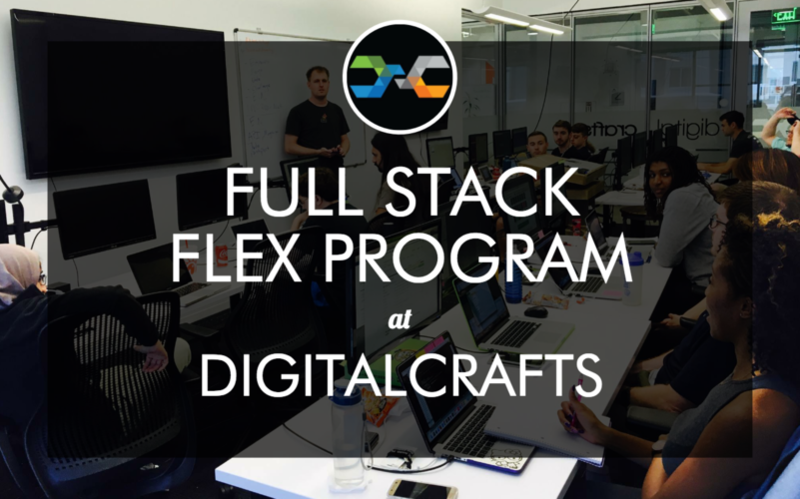 I’m also a part-time Teaching Assistant for the latest DigitalCrafts’ Full Stack Flex program. Whenever students need additional help and have questions, I’m there. As a manager in the restaurant industry, I was always the one to find a solution or answer whenever someone had questions or problems. At DigitalCrafts, since we have remote students, I also manage camera setup and ensure students have the materials they need to succeed. It’s great because any material that may have slipped through the cracks while I was a student, is now getting solidified during my Developer-in-Residence role. I’m asking the same questions over and over and digging deeper into subjects to better help my students. During my term as a DIR for the current cohort, I’ve learned how to interpret documentation more efficiently, debug code that wasn’t originally written by myself, and improved on refactoring code to be consistent and cleaner. Now halfway through the course, I’m confident I will continue to learn even more with my students while on their journey to being developers. How did DigitalCrafts prepare you for job hunting? Are you looking for full-time jobs? I’m trying to find the sweet spot between a designer and front end developer. 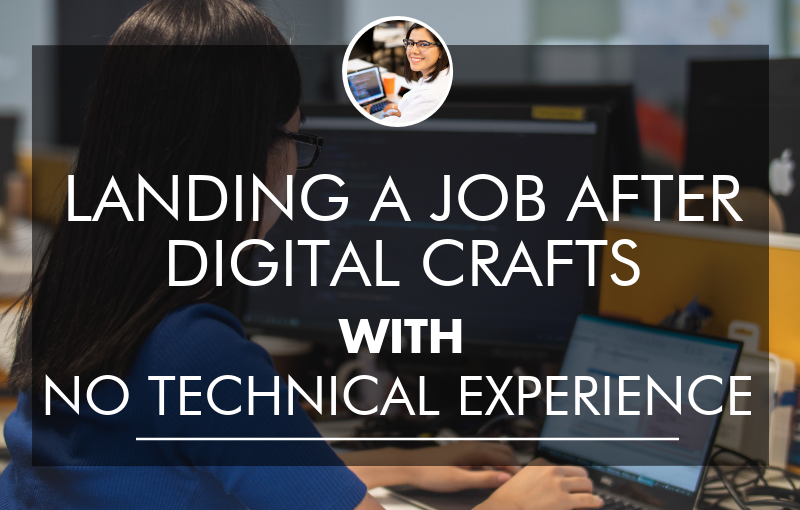 DigitalCrafts covers mock interviews, how to update your GitHub, Linkedin profile, and resume, along with providing a career success toolkit for job searching. DigitalCrafts also has a career week where people from local companies come to speak about the industry. It was nice to meet different people in the field, hear about a day in the life of developers, and what to expect at different companies. For me, it’s been my confidence. Since I’m coming from a different industry, it can be intimidating being a woman, and ensuring that I’m using the correct terminology and referencing materials appropriately. Imposter Syndrome has played a big role in this journey – Do I even know what I’m doing? Am I really able to meet these requirements? But the team at DigitalCrafts is such a good support group. I share with my students now how everything that we learn is applicable to real life. We’re not imposters, and we have projects to reflect that. I still deal with Imposter Syndrome now. I spoke to an experienced developer at MailChimp who told me he still gets Imposter Syndrome too. It happens, but you have to refocus. Remember the goal, but change your path. You should first dabble in coding a little bit – get your feet wet. Take free courses online like FreeCodeCamp and see if it interests you. Don’t just do a coding bootcamp for a new job; test the waters first. Don’t give up if you’re interested. When in doubt, ask Google! Read DigitalCrafts reviews on Course Report. Check out the DigitalCrafts website. Ah, books—the time-tested technique for ingesting knowledge. Programming literature may not be as engaging as Codecademy or CodeCombat, but it will help reinforce concepts and provide perspectives you’d be hard-pressed to find in an online course. 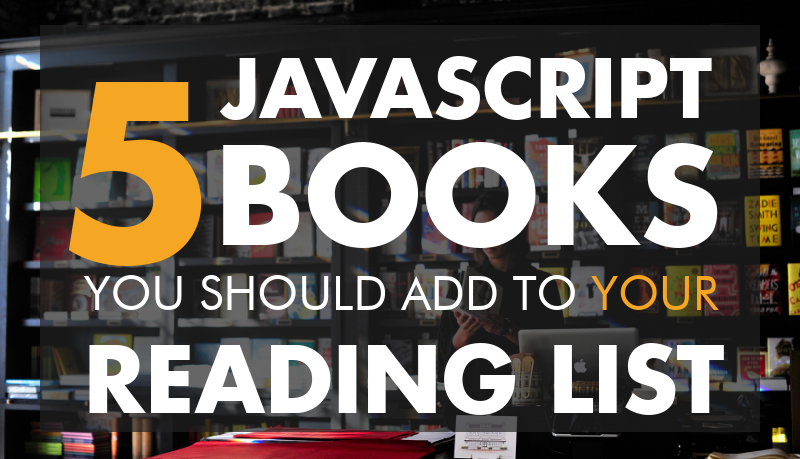 Here are five books you should read as you begin your journey as a web developer. Keep in mind that these books won’t teach you to code, so they’re not substitutes for an online course or a coding bootcamp like DigitalCrafts—but they are excellent supplements! Insiten is a small financial tech shop in Atlanta, but they’ve integrated innovative hiring, training and upskilling practices that a lot of large companies have yet to adopt. So far, CEO Adam Trien has hired 8 software engineers from Atlanta-based DigitalCrafts and is even funding one of his current employees to upskill at the DigitalCrafts Full Stack Flex Program. 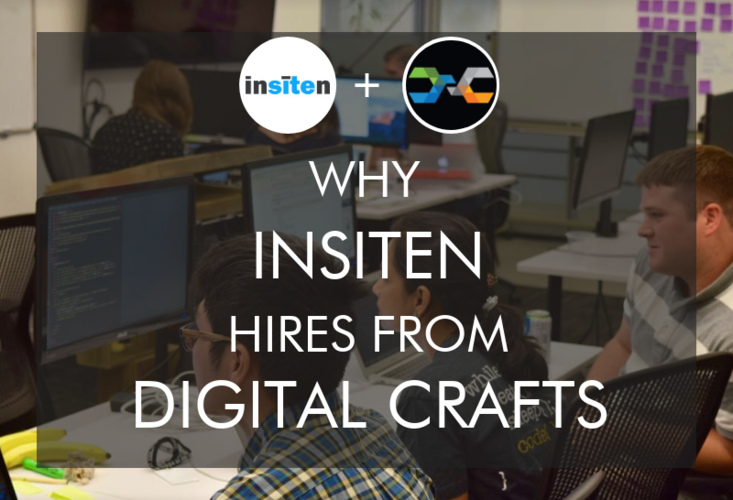 See what Insiten is looking for in a new hire, the three qualities that stand out in DigitalCrafts applicants, and why his team chooses to invest in and nurture junior talent. Tell us about Insiten, your role, and your responsibility for hiring developers. I am the founder and CEO of Insiten, a software development shop. We help transform companies whose organizations were managed with offline processes and unstructured data (ie. through Excel, PowerPoint, emails, or a shared drive) with online cloud-based solutions focused on collaboration and advanced analytics. We empower our clients to boost their efficiency and make better business decisions. Insiten is a rapidly growing startup. We celebrated our one-year anniversary in November and have recently hired our eleventh employee. Tell us about hiring your first DigitalCrafts alum – was there any hesitation hiring a coding bootcamp grad? Our first engagement was with a large, multi-national client and we needed to staff up quickly. I attempted to hire through my past network of developers but that was falling flat. I approached a local Atlanta-based tech recruiter and one of the first candidates they sent me was Eli, a DigitalCrafts graduate. When I received his resume, I was a little disappointed. Although Eli had a great deal of work experience, he had never held a software development job. I was looking for seasoned developers with at least a few years of real-world experience. But in the end, Eli demonstrated impressive technical capabilities and has been a huge asset to the team. His demonstrated success helped pave the way for future bootcamp hires. As a Microsoft shop, do the technologies that DigitalCrafts grads learn completely align with what you need from a developer? Or do they have to ramp up? One thing that makes Insiten unique compared to traditional Microsoft development shops is that we are using leading-edge UI frameworks like Angular and React to develop our solutions. Our engineers spend 90% of their time building the user interface that sits on top of underlying Microsoft cloud technologies. This aligns perfectly with the skills that DigitalCrafts provides their students. What roles specifically have you hired DigitalCrafts graduates into? Are they doing pure software engineering? Everyone we've hired has the title of Software Engineer. However, we value candidates with diverse skills and experiences. So far, we have hired a former lawyer, someone with a master’s degree in Data Visualization, and several Georgia Tech grads. One of our hires had corporate experience with Accenture, Coke, and Disney; others were graphic designers. Thinking about the eight DigitalCrafts grads that you’ve hired, what stood out about them? Why did they get the job? We really had to put a lot of thought into hiring nontraditional employees (ie. bootcamp grads) because it's not the same as hiring an experienced developer who has references and past employers. We don't expect a bootcamp grad to be a senior developer, but they should have a solid understanding of the core technologies that they've learned at DigitalCrafts. Sometimes, alumni stand out because of their final projects. For example, one woman, Yingrong, programmed Alexa as part of her final project. 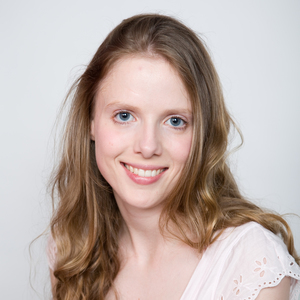 We love combining different technologies and APIs, so her skills stood out. During the interview, she programmed Alexa to pronounce “Insiten” on the fly. It demonstrated that she had a strong command of the technology. 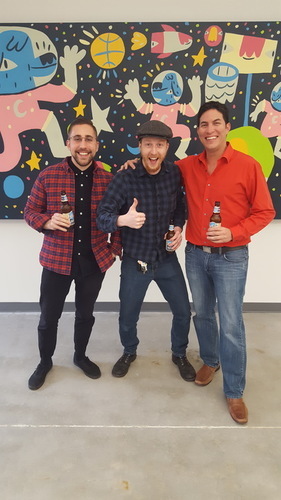 What really excites me about the candidates from DigitalCrafts is their passion for technology and their desire to continue growing and learning on the job as well as on their own. Do your new hires go through a technical interview? We are looking for candidates who think on their feet, work well with others, and respond positively to peer reviews and design decisions. We do “mob interviewing” where a room full of employees ask questions of the candidate. Some candidates may find this intimidating, but it gives us insights into how well they work on a team. We give applicants a week to complete a coding challenge and then ask them to demo what they have built. We go under the covers and ask questions about their design decisions. We try to find bugs in the code and then work together on identifying a fix for the issue. We also give candidates a user interface design to implement and an algorithm question to test their logic skills. Have you hired from any other coding bootcamps? We have hired from other bootcamps but DigitalCrafts has definitely been our go to. Other bootcamps are typically three-month programs and broadly cover a wide range of technologies whereas DigitalCrafts is a four-month program that focuses more deeply on a smaller set of technologies. DigitalCrafts stresses smaller class sizes and does more project work than other bootcamps. DigitalCrafts grads are ready to hit the ground running. The alumni network at DigitalCrafts is strong. DigitalCrafts hosts alumni events to provide ongoing training and networking opportunities. They invite Insiten to demo days and we are often asked to give guest lectures. At one presentation, we talked about a typical day-in-the-life of a developer; at another, I spoke about how to go from being a junior developer to the CEO of a startup. Can you give us an idea of what projects the DigitalCrafts developers are working on at Insiten? Right now, we are working with the merger and acquisition team at a Big-4 accounting firm to help them build software for their clients executing transformational acquisitions and divestitures. A lot of planning is involved in these transactions. We are building software to help those companies define their future state and understand the financial implications thereof. In addition to hiring from DigitalCrafts, how does DigitalCrafts help you keep your current employees learning and growing? We recently hired someone with a background in analytics who needed additional training to enhance his software development skills. We could not afford to lose this full-time employee for four months of training. I reached out to DigitalCrafts and he is now enrolled in their newly launched night/weekend executive program. Do you think that he'll be ready to start deploying code when he graduates? We have already been able to expand his role and he is now responsible for processing QA bugs on one of our projects. Before the class, he would just look at a bug and assign it to a developer. Now he is often able to figure out a solution independently. He's got a great advantage because he works in a software development shop. After class, he's able to ask us questions, show us what he's working on, and we're able to give him direction. It is really exciting to see him start to pick up these technical skills. Does Insiten pay for that DigitalCrafts class for him? We are paying for the class, and that’s an investment we decided to make as a company. We incentivize our employees through various bonuses and benefits, so this class is part of his package. Hiring a developer is not easy; why retrain a current employee vs just hiring a developer? We try to hire great people with positive attitudes and strong analytical skills. Sometimes we decide to hire employees to meet some of our immediate needs and then find ways to upskill them. 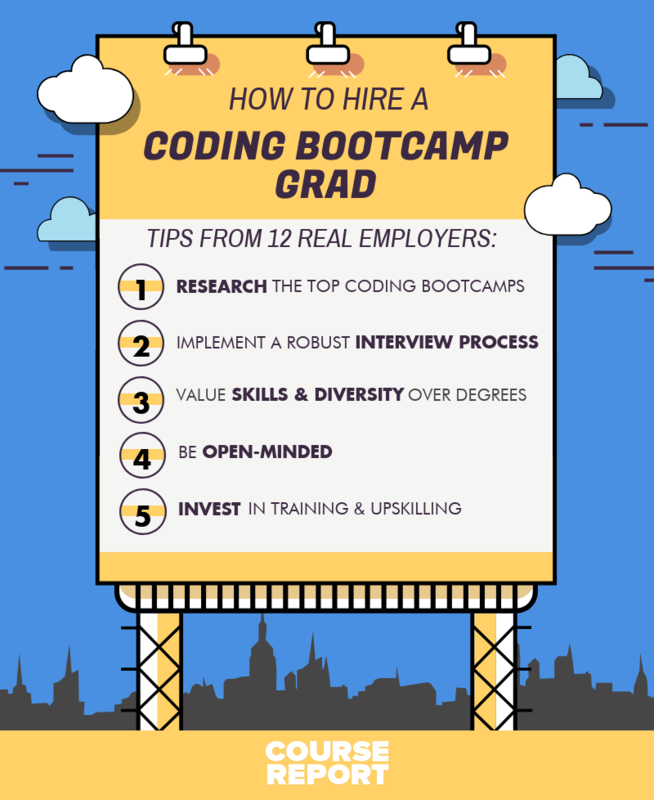 What advice do you have for other employers who are considering hiring from a coding bootcamp or from DigitalCrafts? Have a really thorough interview process. Bootcamp grads typically have portfolio sites and project sites that an employer can review before scheduling an interview. Validate that the candidate has a deep understanding of the technology and assess if they will be a good fit for your team. You should also invest in developing a solid onboarding process. We have detailed documentation of our infrastructure, branching policies, software development life cycle, best practices, code snippets etc. We assign new hires a mentor when they start for however long they need. We have hired incredibly strong people out of bootcamps, and after a couple of weeks they are ready to work on their own. Having senior developers who can help with code reviews is a big part of how we train by giving new hires continuous feedback to improve their skills and techniques. We also invest in continued education and provide budgets for attending conferences. We bring in a professional trainer two days a week (he actually used to teach at DigitalCrafts). He performs code reviews and peer coding, and works one-on-one with the team to “level-up” their skills. Read DigitalCrafts reviews and find out more on Course Report. Check out the DigitalCrafts website! Why has DigitalCrafts decided to launch part-time programs? Our Full Stack Immersive Program is certainly not going anywhere, but our goal at DigitalCrafts is to make the classroom as accessible as possible to the hard-working learner or what we like to call DigitalCrafts builders. Absorbing the material and curriculum typically reserved for a 16-week full-time immersive class will be no easy feat, so the Full Stack Flex Program is 6 months long, and will maintain the same selective admissions process that has been the cornerstone of our alumni success to date. The Flex program will last a total of 24 weeks and class will take place in the evenings two nights a week from 6:30pm to 9:30pm as well as every Saturday from 10am to 2pm. We’ve also incorporated two weekends where students will be expected to spend two full days on campus. Think of these weekend sprints kind of like your standard day in the Immersive class. While the time commitment is more flexible than the full-time program, we do understand people have priorities and life outside of class. To that end, we’re excited to announce our new classroom will be enabled with live streaming and recording capabilities which will allow students to live-stream the class from home or watch a recording of the class online if they are unable to attend a specific day. If your students are employed in full-time jobs already, are you expecting to see people upskilling for their current jobs, or career changers, or both? I imagine the students that will make up the Flex program will encompass both career changers and those who are up-skilling for their current employer. How will the admissions process differ from the full-time admissions process? How many students are you expecting to be in the part-time program? Will the classes be bigger or smaller than the immersive program? We are expecting a sold-out class for the first Flex program launching at our Atlanta campus on July 11. To date, our average class size is around 15 students which provides for a personal and hands-on learning experience. Our mission is to provide a top-notch experience for each student, and we’ve found a small class size allows each student to receive the level of support he or she needs throughout this journey. Class sizes for the Full Stack Immersive and Flex will remain the same. Could you highlight the differences between the full-time Full Stack Immersive vs the part-time Full Stack Flex curriculum? Since the Flex program will have fewer “in-class hours” than the full-time program, students will be expected to complete homework, exercises, and take-home projects outside of the classroom. Students should expect to spend 20 hours per week outside of the classroom working on curriculum. How many instructors will be teaching the part-time program? How and when can students reach out to them outside of class hours? We’ve brought on a great team to lead the Flex program. Over the course of the 6 months, students will have access to two Lead Instructors and an Operations Assistant to ensure they are supported throughout the program. We require the Lead Instructors to be available during office hours and actual class, but we are pretty adamant about making sure they get some rest as well! Students will always have access to the DigitalCrafts community of builders which consists of current students, instructors, staff, and alumni via Slack. This is a great resource for those students who are looking for additional support outside of class hours. Will the flex students and the immersive students ever interact or collaborate on anything? If so how? This is a detail we are actively investigating. Flex students will complete two weekend sprints throughout the course which would be a great opportunity for a weekend hackathon or group projects across classes. We’ll make sure to announce this once we’ve finalized the details! Will students be able to enroll in DigitalCrafts’ Elective courses like in the full-time Full Stack Immersive? Yes! Flex students will have the option to enroll in any DigitalCrafts elective upon graduating from the program. Since our electives also take place in the evening, we wouldn’t want a student to enroll in both courses at once and potentially become overwhelmed. Elective courses are available to all DigitalCrafts alumni. How will career services work for the part-time Full Stack Flex program compared with the Full-Time Immersive? Again, our goal is to provide the same experience across the Immersive and Flex programs. Students who opt-in to career services in the Flex program will receive the same level of support from our Student Services team. This includes guidance around creating an online presence, drafting a resume, developing a portfolio, participating in mock-interview training, and exposure to our employer partners. Our goal at DigitalCrafts is to prepare all of our students with the abilities to achieve their goals. My advice for any student who is considering a bootcamp whether that be a full-time or part-time course is the same. It’s extremely important to make sure you can set aside an adequate amount of time during the course and that you have an unyielding passion for learning this skill set. Programming is difficult to learn and doesn’t come easy, and our students have to be fully committed before, during and after graduating from the program. Stephen and Stuart were both ready for career changes, so decided to take a chance on a relatively new Atlanta coding bootcamp, DigitalCrafts. For their capstone project, the bro-grammers (literally, they’re brothers!) built BootcampXchange, a platform DigitalCrafts has now launched to help connect their students and other bootcamp graduates with potential employers. In this video Q&A, Stephen and Stuart tell us how they switched careers, why the 16-week format stood out when they were researching bootcamps, and even gave us a video walkthrough of BootcampXchange. What were your education and career backgrounds before you decided to go to DigitalCrafts? Stephen: I went to school at Georgia Tech in Atlanta and got a business degree in business management with an emphasis on finance. After graduation I started a job as a proprietary equities trader, commonly known as a day trader. I did that for 13 years or so, but it can be a stressful career and I got a bit burned out during the last couple of years. I started looking into a career that would interest me that I thought I would be good at. I had done some coding a long time ago back in high school, and a couple classes in college. A year ago I saw an article in BusinessWeek magazine about coding bootcamps, so piqued my interest as I didn’t even know they existed. I started kind of looking into various schools in Atlanta and ended up choosing DigitalCrafts. Stuart: I got a degree in electrical engineering at Southern Tech in Atlanta, and worked in that field for about three and a half years.Then I got the opportunity to go work with my brother Stephen in the finance field – we were actually day traders together. I did that for about 10 or 11 years then found myself in the same situation as Stephen. Trading had its exciting moments but overall it was very stressful, and I was burned out. We both researched web development, and both decided at the same time to make a career change. How much coding experience did you have before DigitalCrafts? Stephen: In high school I did an AP computer science course, and at Georgia Tech I did an intro to computer science course. But other than that it had been a gap of 12 or 13 years since I’d looked at anything coding-wise. Stuart: I’d had a few courses in college but my focus was not on computer programming. In my work as an electrical engineer I programmed programmable logic controllers (PLCs) which used a very simple kind of language called ladder logic. It’s not comparable to web development at all. What made you want to go to a coding bootcamp rather than learning on your own? Stuart: I tried to do some learning online and was making progress but I found I would spend a long time researching a small problem. I would spend hours working on something that someone with experience could have helped me get through in five or 10 minutes. It was about making the best use of my time. Did either of you look at other coding bootcamps or just DigitalCrafts? Stephen: I looked at General Assembly and The Iron Yard in Atlanta, and toured both of them. Stuart: I also looked at some exclusively online schools, but after my experiences of trying to learn on my own I wanted to do an in-person bootcamp. What factors made you choose DigitalCrafts over other bootcamps? Stephen: It was a risky decision. We were the first class to do DigitalCrafts, so there was some trepidation about being Guinea pigs. The DigitalCrafts program is 16 weeks, so a bit longer than the 12-week programs I looked at. That appealed to me because it covers more information, and I was hoping I would graduate a bit more qualified to find a job. Even though the school was unknown, what put it at the top for me was meeting the DigitalCrafts professor. He seemed to be really knowledgeable, and the kind of person who could teach well. So I went with my gut. And luckily I was right – he was a great teacher. As brothers, what made you decide to go to DigitalCrafts at the same time? Who had the first idea? Stuart: It was an opportunity for us to spend some time together. We’d worked closely together for the last 10 or 11 years, so we’re kind of partners in crime. I’m a native to Florida so I lived with Stephen for a few months while we were in the bootcamp. It was a good experience. Stephen: Living and working together definitely helped us. We had our program during the day and then there was content to work on in the evening. It was probably advantageous having someone there to ask questions, someone else's brain to pick outside the classroom. What was your class like in terms of size, diversity, and student backgrounds? Stuart: It was a mix of 10 students. A couple of people had programming experience, and others were from fields with nothing to do with programming. Some of them had mechanical backgrounds or were just out of school. So it was really pretty diverse in terms of education and experience. Were there many women in the class? Stephen: No. DigitalCrafts is working on strategies to get more female coders. They’re definitely looking for female candidates, it just happened in that cohort there weren’t any. What was the learning experience like at DigitalCrafts? Stuart: In the morning it was more actual studying or covering new topics, going into depth about whatever the topic for that day was. In the afternoon it was a lab where we would actually apply what we had learned in the morning and start working on projects. Sometimes it was something small that could be done that day, or often times it was a topic that was bigger that would carry on for the better part of a week. In addition we would also have topics to cover at home on our own time. Can you tell us about your final project – BootcampXchange? How did you come up with the idea? Stephen: My wife is a graphic designer so she had the idea from her own experience struggling to find freelancers who are well qualified. Her idea was to do a website where freelance people could create profiles then employers could look at those profiles, and maybe have a vetting process where you could vouch for someone that they were qualified or had credentials. Before we started the program, DigitalCrafts wanted to hear our final project ideas. When Jake, one of the founders, caught wind of our idea, he told us he had a very similar idea except it would be for coding schools, as a way for employers to connect with the students. He asked if it was something we were interested in working on. Stuart: We had about 3 weeks to build it, and probably the first three or four days were for design and then we spent many long days getting it going. Stephen: You start on the landing page where you have the option to sign in as an employer or a code schooler. The BootcampXchange partners are listed at the bottom of the screen. You can sign in as a student or an employer using your LinkedIn credentials or email. If you sign in as a student you open your profile with your profile picture, and basic information like location, coding school you went to, previous employment, skills, and a link to your resume. Probably the most useful part is you can search student profiles by location, skills, and employment type. So I can find students in Atlanta Georgia, but it doesn’t just pull up Atlanta, it also pulls up cities in the vicinity. Stuart: It’s really designed for employers who are looking for junior developers with a certain skillset or certain location. And they know what they’re getting – people who have an education but may not have a lot of experience yet. One of the things we’ve noticed is on most of the online job boards now, people put up a posting and get 100 resumes, and only five actually meet the requirements. This platform kind of reverses the process and allows the employer to go and pick out people with the skills they want. What technologies did you use to build it? Stuart: The backend was PHP and MySQL. The front end used Bootstrap and we hand coded everything. Did you learn new technologies you hadn’t used in class? Stephen: We covered PHP in class, but for some of the functionality we wanted we definitely went beyond what we had learned in class. Things we learned in class definitely helped us find solutions to problems, but there were a lot of new things too. It was rewarding but also led to some long days. Can you tell us about a big challenge or problem you had while building BootcampXchange, and how you overcame that challenge? Stephen: One challenge was the query for searching by location. The way we initially built it, it would have to constantly call on the Google API for maps, which is not something you want to do unnecessarily as you can only get so many free queries per day. So I had to find a totally different way around that. It ended up being a relatively simple solution. There was a lot of reworking from how we originally built it. We had done queries before, but this was definitely next level complicated. It was a lot more difficult than I had anticipated, but it works. What are you up to now? Are you working as developers? Stuart: I am doing freelance work and looking for remote positions. I am located in Northern Florida, which is not a major metro area, so there are not as many employment opportunities nearby. What sort of career support did you get from DigitalCrafts? Stephen: I happened to find this role on my own, but in the last three or four weeks of the course, they were very good about sending out messages about open positions. They were always looking for companies advertising for new hires. They brought companies into the classroom to talk to us. They were definitely trying to make sure we all had opportunities to look at. What advice do you have for people wanting to change careers and take a bootcamp? Stuart: My advice is to make sure it’s what you want to do. Don’t just do it because you know it’s a hot new career; make sure you actually have an interest in web development because it takes a lot of time and dedication to get good at these skills. Also these skill sets are constantly changing so you’re going to be learning new skills for the rest of your career. Stephen: I would totally agree with that. Also for me, I did some study in the two to three months leading up to the bootcamp, which really helped. If I had gone in cold turkey it would have been a lot more overwhelming. There were moments when it was overwhelming but it helped to have some background knowledge and to be the mindset of a coder. It’s also a great way to see if you’re going to like coding as a job. Once you’re in the program, my number one piece of advice is work really hard. If you don’t put a lot into it, you won’t get a lot out of it. At first it seems like it’s never going to end, but by the time it’s over it’s gone by pretty quickly, so put in as many hours as you can. Is there anything else you wanted to add about your experience at DigitalCrafts? Stuart: It was a very positive experience for me and I would encourage people to look into bootcamps as a viable option for career changers. I’ve learned a tremendous amount and I realize the bootcamp is just the beginning. It gets you up to speed as quickly as possible, and DigitalCrafts did an excellent job of that. Stephen: If you’re going into a bootcamp I would encourage you to meet the instructor beforehand, to make sure you will actually know who is going to teach you. I think it makes a world of difference. If I’d been in a bootcamp with a bad instructor my experience would have been completely different. You could have a great program with a great curriculum but you may not have someone who can actually teach it. There are a lot of people who are very knowledgeable who aren’t great at imparting their knowledge to other people. Stuart: One thing that really made it special is nobody got left behind. If you were willing to put in the effort, you got the help you needed. That personal attention was very valuable. Find out more and read reviews on the DigitalCrafts Course Report page. And visit the DigitalCrafts website. Griffin Hammer’s quest to become a web developer has taken him from Greensboro, North Carolina, to Atlanta, Georgia, and now Palo Alto, California. After working in computer engineering on the hardware side, Griffin realized he actually preferred software and coding. He started out teaching himself, but wanted to learn with others so decided to enroll in DigitalCrafts’ 16-week web development bootcamp in Atlanta. A week before he graduated he was offered a job as a developer at network visualization software company Live Action in Palo Alto, California. What were you up to before you started DigitalCrafts? Before DigitalCrafts I had been working in the semiconductor industry in Greensboro, North Carolina. I studied computer engineering at Rensselaer Polytechnic Institute outside of Albany in New York and then worked mostly in hardware. I didn’t enjoy that side of the career, so I decided to go to DigitalCrafts to gain more applicable skills for a coding career. When and why did you decide to switch careers, quit your job and do a coding bootcamp? I finally made the switch because some of the work I was doing towards the end of my job, which probably wasn’t going to last, was more coding-heavy work. I really enjoyed that and wanted to continue doing that more in my career. So that’s why I made the decision to transition fully. Did you try to learn on your own before you thought about a bootcamp or did you just dive into the camp? I initially started doing some online courses. But I came to a point where I thought I needed more of a classroom atmosphere and felt it would be nice to have a group of people to work together and learn together with. I mainly used Codecademy and One Month. Did you look at other bootcamps or just DigitalCrafts? I was looking at a couple different places, mainly DigitalCrafts and General Assembly in Atlanta. I was looking for stuff relatively nearby to where I was. DigitalCrafts attracted me to it because of the length of their course and the fact they covered two full stacks. What factors were important to you when choosing a bootcamp — price? location? language taught, instructors? Atlanta was probably the nearest biggest tech hub with good coding bootcamps for me. I liked the languages DigitalCrafts was offering. 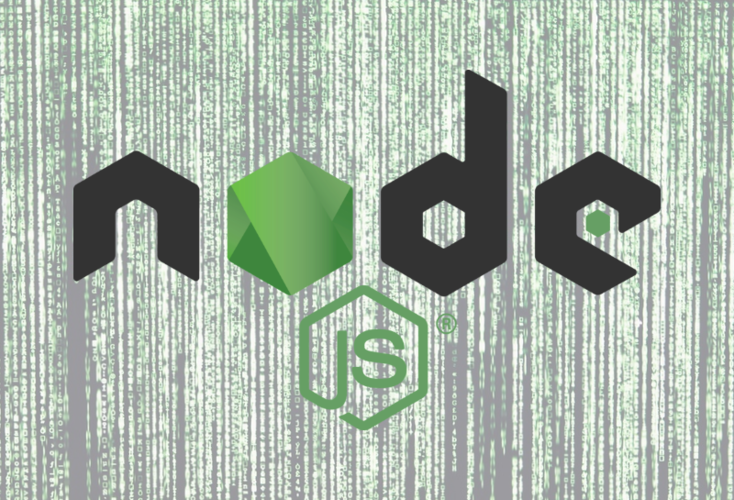 I wanted to learn Node, because from what I had read online it seemed Node was a very good, upcoming technology. I also liked that they were going to be doing Lamp stack too, and create opportunities to go into some larger corporations that have an older code base. But the main thing for me was the course was a bit longer than most of the other courses I had seen, and would give me enough time to develop all my skills. Did you do the iOS app development elective? How was that structured? Note: DigitalCrafts’ iOS Elective is now $1,000 for immersive students, and $3,000 for part-time students. DigitalCrafts only accepts 15 students per cohort. How did you find the application, interview process and coding challenge? I thought it was really good. I don’t know if it was more rigorous than any other bootcamps. They tried to verify everyone could get through the course, but it wasn’t so strenuous on that, as much as, “we’ll see how well you think you’re going to fit inside our teaching structure.” I found the coding challenge relatively easy because I had some experience doing coding work through school, and through my previous job. It was actually nice because as they went through the interview process, I got to know the people running the course, and the teaching style that was going to be used. It was all guys. That’s something the team has been trying to work on. It was relatively diverse in terms of race and career backgrounds. There were some people just out of school, a couple of people who had been working for a couple of years, and some people who had worked in an industry for 10-plus years, and were now trying to get into web development. There were 10 people total in the cohort. It was a really good atmosphere for the class. Everyone got to know each other really well. We knew each other’s strengths and weaknesses so we always knew who to go to if you had a problem with something. Note: DigitalCrafts offers a $2,000 Women’s scholarship for up to 3 women in any given cohort. What is the learning experience like at DigitalCrafts? We arrive at 9 am. From 9 am until 12 pm our instructor would go over the new concepts we were going to learn that day. Then we’d have lunch and come back and delve into some project – either expanding on something we had done earlier, or starting something new using the concepts we had learned in the morning. And so that afternoon time was sort of free flow, and everyone’s sort of working with each other to solidify those concepts. Who are the instructors? What are their backgrounds? Our instructor was a developer for around 11 years before he became a teacher. Our cohort was the first class he taught, and I thought he did a really good job of conveying the knowledge he had gained through his experience as a web developer. We had a separate instructor for the iOS course. He was working in the industry and would come and teach the class in the evenings. He brought a different view – more technical and computer science oriented. He focused on things like object oriented design, in contrast to the more utilitarian stuff we were learning in the web development side. A popular question we get is – how did you pay for it? Did you use a financing partner? Did you get a scholarship? I had money saved up that I ended up using. DigitalCrafts has scholarships for ex-military and women – people who they want to help with that transition into coding. They also have a financing partner they are working with as an option for students. One of the most difficult things was seeing how far I could push my projects to differentiate myself from the other students. Because of the model of a coding bootcamp, you’re doing a lot of the same types of projects, and you may be applying for the same jobs as your peers. So you have to do as much as you can to differentiate yourself while still completing the course work. The other big challenge was mastering some of the design aspects. I’d had experience coding before, but I didn’t have much design experience. I could see if something looked good or bad but I didn't know how to improve it. That was a learning curve for me. What sort of feedback loop is there when problems arise? They had a couple of different methods. The first method was a Google survey form where you could jot down your thoughts. Also, every four weeks over the course of the bootcamp they had a sit down with us where the director of student services, would say “this is how we think you’re doing, this is what we think you could be doing better.” Then he’d ask, “do you have anything for us, how do you think we’re doing?” I thought that was really helpful. What is your favorite project you created? Did you get to use your own ideas? There were a couple of things I really liked. The one I took the furthest was one of the first projects we did in Node. It was a voting app where users could vote on whether a picture was cool or not. I used an API for a video game and brought in a bunch of images of characters, then allowed users to vote on the characters. A lot of people just hard coded their database, but I went to the effort of pulling from an API, and scheduled it to run regular updates. That was an interesting challenge for me – seeing what I could do to take that project as far as possible. Congrats on finding a job! Can you tell me about your job? The job is with Live Action in Palo Alto, California, a network visualization software company. They work with Cisco routers to create tools to help less technical people visualize where traffic is getting bottlenecked. Then they can manage the network more efficiently, without having to run through the command line. When I start in March 2016 I’ll be working on the web interface for that product. They already have a normal application, and now they’re building a web interface. Initially I’ll be working in a lot of Angular.js and Express to deal with serving up their API. After that I can take it as far as I want, and maybe do some work on the backend in Java. I don’t have experience in Java yet, but they seem open to helping me expand my skill set. What are you doing to keep your skills fresh? I’m doing a bit of coding right now, working on projects I thought were fun and interesting. So that’s helping me keep up my Angular and Express skills. And as it gets closer to the job I’ll do some basic exercises in Java. How did you find this job? What was the interview process like? Around 12 weeks into the program, I signed up for Indeed Prime and Hired. I guess Live Action saw my profile on Indeed Prime and thought I would be a good fit. First I had an interview with someone from HR, to get a feel for my history. Then I had a Codility code test that was 130 minutes long, with three separate coding problems. After that I had a 30- to 40-minute phone call with the VP of Engineering, to see if my career goals aligned with what the company was doing. That was not too technical, and pretty relaxed. The final thing was an interview with four engineers on the team – including front end and back end engineers, some new to the company, and some had been there since its origins. They went through coding questions, stuff about my portfolio, and asked if I had experience with certain computer science concepts. I think I tend to interview relatively well because I’m good at verbalizing my thought process through those kinds of problems. It wasn’t easy but it wasn’t difficult. And then everything I didn’t understand they thought they’d be able to teach me and fill in those gaps on the job. I got the offer in the 15th week of the program – one week before graduation. How did the bootcamp prepare you for finding a job? There were several different ways they helped us. People from other companies came in to tell us about their interviewing processes. Someone from StackOverflow came in to do mock interviews with us, and went through our resumes. He told us what was good, what wasn’t, and told us whether or not he would have pulled that resume. He did a full mock interview and a technical interview with us, then gave us feedback. They did a really good job. What did you like most about DigitalCrafts? The biggest thing was the environment. It was really open and friendly, everyone got along well, and we could work well with each other, teach each other, and give each other different perspectives. Sometimes you sort of needed someone other than the instructor to teach you. It can be helpful to learn through teaching if you can express things in a different way. What advice do you have for people considering a bootcamp? I guess the main advice I would give anyone who is trying to do a bootcamp is do as much work as you can on your own before the bootcamp starts so you can hit the ground running and do their best to internalize everything you are learning. Find out more and read reviews on DigitalCrafts’ Course Report page. Or check out the DigitalCrafts website. Andrew is an army veteran who was working in the oil industry until he decided to search for a lasting and fruitful career. He packed up and moved to Atlanta to attend a full-time MEAN Stack/LAMP Stack bootcamp at DigitalCrafts. Read about what motivated him to make this change and how his military background is helping him at the bootcamp. Andrew also talks about the application process and why he ultimately decided to attend DigitalCrafts amongst the many bootcamps in Atlanta. Tell us what you were up to before you started at DigitalCrafts. Right before attending DigitalCrafts, I was working in the oil and gas industry. I was doing great until the price of oil fell and it was time to look for a new career. Before that, I was in the army and took classes at a major university as well as a community college for a number of years but didn’t graduate. Did you ever take a Computer Science course? I took Intro to Computer Science at the university, then I took a C++ course and a database course; just some basic intro courses because I’ve always been a tech guy and that always interested me. When did you decide to quit your job? I was looking for a new career, because I could see oil and gas was not going to be a lasting job. From a job perspective, the tech industry is only becoming more in-demand; this is an industry that is growing. I knew about coding bootcamps from researching them- actually on your site, Course Report! That’s where I found DigitalCrafts. Did you look at other coding schools in Atlanta? I looked at couple of others, but what really drew me to DigitalCrafts was that they’re teaching the MEAN Stack and LAMP Stack. The LAMP stack is a mature technology, a lot of companies still use it, and the MEAN stack seems to be rising in popularity. I thought it was cool to learn both technologies. What was the Digital Crafts application process like? How did your background in the military affect your education as you’ve been learning MEAN stack and LAMP stack at a bootcamp? Sure. In the army, my role was very hands-on, and that’s similar to learning web development. My background fixing things, learning different technologies quickly, and researching problems has helped. Also, this course is very focused. In the military we are trained to identify and achieve specific goals. The structure of a coding bootcamp can be appealing to a lot of veterans. Were you able to use GI benefits for this course? No, I wasn’t, but I think that’s something that should definitely be considered. These courses can be a really great option for veterans and military. What does a typical day look like at DigitalCrafts? In the morning we go over questions; interview questions but also questions about the technologies that we’ve covered because we go through technologies so quickly. Then, we discuss what we’re going to do with them. In the afternoon, we have labs and that’s usually for the final few hours in the day. It’s intense. I can definitely attest that this is all day long, every day. Have you done projects yet, like a group project or a capstone project? For the first few months of the program, we focused on frontend web development, and we’re just over the halfway point now. We’ve been learning Node.js for the last couple of days. When it comes to project work, we’ve completed projects individually, using paired programming, and we’ve completed projects as a class. We’re actually working on an e-commerce site now where we’re developing with Node.js, Mongoose, and Express. What’s been the biggest challenge in doing the bootcamp? The biggest challenge is coming every day prepared to learn something new, knowing that I’ll go home, try to digest it as best I can, and then start over the next day. It can get frustrating because the class does move very quick and you really have to be committed to it. I think the way the course is structured is keeping me from burning out a little bit, because we did front end for the first one and a half to two months and now we’re moving to the back end. I like servers and incorporating the database. That’s really cool to me. It’s a new direction now halfway through the course, and I think that helps out a lot. What were your career goals going into the DigitalCrafts program? I’d really like to work with servers and back end. If that opportunity presents itself, I’m going to jump on it. What I understand about technology is that how we work today with technology is not how we worked 5 or 10 years ago, so just having this background and learning these skills, I’m open to anything right now. While this is a web development course specifically, I think I came in with the understanding that this is technology in general, this is really cool stuff. I’m learning how to program, I’m learning to design websites. You can take these skills and apply them to a number of different jobs. It’s really cool stuff, and while I think some people are determined to become web developers, I’m open to using this in other ways. Have they started bringing in employers? We’ve met a couple of employers already. They’re in a process of building out their Employer Network now.. Even in our building when companies find out what we’re doing, there are employers here that don’t do web development but are looking for people who can learn and understand technologies quickly. There’s actually a guy in our building not involved in web development who would like to interview some of the graduates to see if they would be a fit for his company. Is there anything we skipped over that you want to make sure our readers know about Digital Crafts or boot camps in general? I think these guys are really something else. They’re really committed to not only teaching these technologies but ensuring that we’re successful, and on a personal level. I’m really happy I ended up here, they bend over backwards for us by doing everything they can. They’re working very hard to find us jobs and to get hiring partners in the door. Deciding which programming language to learn, and ultimately whether to pursue Web Development or Mobile Development, is a tough decision and really depends on your personal and career goals. Check out our guide to help you decide. 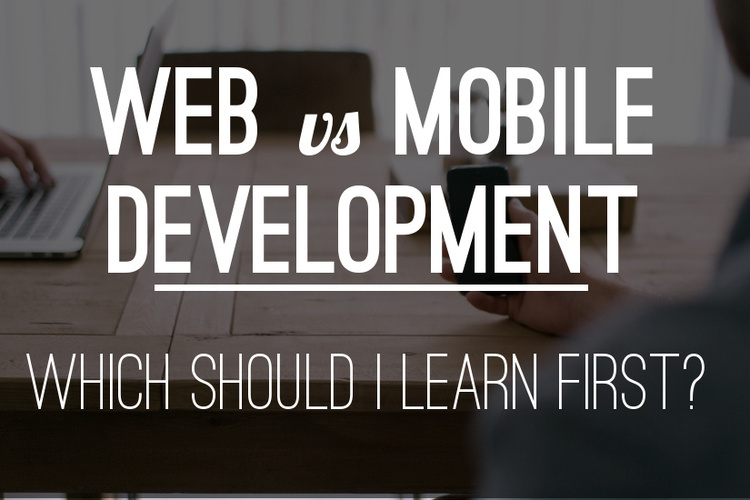 While this is a subjective matter, many developers feel that the learning curve for web development is a bit easier than for native mobile development. Web development has been around for a good bit longer and thus the sheer volume of tools, frameworks, tutorials, etc, lends a helping hand to beginners just starting out. That said, mobile development does, at least in the case of iOS, require the use of an IDE, which can help point out errors and catch mistakes – a big help to a newbie. Either way, the career of a software developer is one of consistent learning – to succeed in an industry that moves as quickly as technology, it’s paramount to enjoy and thrive in learning new tools and techniques of the trade. For those interested in breaking into the field, it’s important to do some research on the surrounding markets to gauge which technologies are in-demand and who’s hiring. While the trend is certainly favorable, it may be more difficult to land a junior iOS or Android-only developer job, as most markets seem to house more entry level positions in the Web space. That said, the more versatile a developer the better, and the shift towards native mobile apps doesn’t appear to be lessoning any time soon! “We want our graduates to be as employable as possible - simple as that. With every decision at DigitalCrafts, we ask ourselves, "Will this help our students get hired?" The answer in this case was easy. Native iOS development is an increasingly in-demand skill that employers want to see on a developer's resume. The more technologies you're familiar with, the more versatile and valuable you are as a developer." To conclude, the decision on where to start as a beginning developer may seem like a tough one, but the life of a good developer is one of continuing education and career growth. Take solace in the inevitability of change that will provide countless opportunities to find the projects that impassion you as a developer. Take a look at the market you live in and the jobs that are available. Visit the schools that interest you and meet the instructors and staff that will help you get started. One thing is for sure, you won’t excel at something you don’t enjoy, so check out freely available resources like Codecademy, Treehouse, or in-person workshops to get a better idea for what sector of development you’re most likely to enjoy. Wherever you start your career is likely far from where you will end it, so the important thing is just get started! DigitalCrafts is a new programming bootcamp offering a full-time immersive in the heart of Atlanta’s growing startup scene, right next door to the Atlanta Tech Village. We sit down with co-founder and Student Services Director Jake Hadden to discuss the motivation for creating a 16 week program, what drew them to Atlanta for the first DigitalCrafts campus, and preparing MEAN Stack & LAMP Stack curricula for the first cohort in October. Who is the team behind DigitalCrafts? Through working in those roles, I realized I have a passion for helping other people achieve their goals. That’s what drew me towards my partner Max and this particular educational model. I couldn’t think of anything more exciting than bringing in a beginner, training them, giving them the skills they need to succeed, and then actually getting them a job to further their career. Max worked for several tech startups in the Atlanta area and founded a startup called Expat Assistants in Argentina, that provided web marketing and SEO services. He had some exposure to coding but then actually attended a local coding school and became a firm believer in the accelerated learning model. He saw an opportunity in Atlanta for a program with a different approach to culture, curriculum, and duration, and we’ve been running with DigitalCrafts ever since. Who is developing the curriculum for DigitalCrafts for the immersive program? We hired Rob Bunch in June as our full-time immersive instructor. Rob has 11+ years of Full-Stack Web Development experience in a professional setting. Rob and Max are working together to create the curriculum, relying on Rob’s experience as a developer and Max’s as a former bootcamp student (and mine as a newbie!). We’re going to run mock classes to make sure everything runs smoothly and to give Rob plenty of practice in a classroom, and then we’ll bring in some experts from the area to help us to refine it. Are you bootstrapping this business? At the moment, this business is completely bootstrapped by Max and me. Why start DigitalCrafts in Atlanta? This is our home, and it’s where we have a very strong network of friends, family, and investors. Also Atlanta has a growing technology scene and with new additions like Atlanta Tech Village, Switchyards, Yik Yak, and many more, it’s only getting more exciting to be involved in the local tech community. There are several other coding schools in the area- does Atlanta need another one? Yeah! Atlanta is just exploding with demand for tech. There are so many tech startups coming to Atlanta. The cost of living is low. If you’re trying to get a job in Silicon Valley, why not go to a coding bootcamp where the cost of living is low and then move when you get the job? One of the important reasons that we picked Atlanta is that the current web development schools in Atlanta really focus on a Ruby and Ruby on Rails curriculum. As a student evaluating these programs, consider there are going to be potentially 150+ graduates from the other programs in Atlanta every year fighting over the exact same jr. Ruby on Rails job openings. What programming language will DigitalCrafts students learn? How did you decide on 16-weeks for the length? Watching these bootcamps evolve over the past two years, I’ve gotten the feeling that so many of these programs have started to cram so much more in such a condensed time. We want to be very transparent with our students, and we didn’t feel comfortable saying that we would graduate them as a junior level developer in 8 or 12 weeks. We also believe that the industry is going to shift back to more intensive, longer programs, more hours, longer curriculum- we want to be on the forefront of that. Max’s experience as a student and our research speaking with local alumni of other programs points to a longer program as well. Are all 16 weeks spent in the classroom or is part of that done remotely? All 16 weeks are spent in the classroom. All students will be required to complete prerequisite work, which will be roughly 30 hours. What technical level does the pre-work get students to? The most important thing is that the pre-work gets all the students onto a level playing field. It teaches students the fundamentals of web development which is key before class kicks off. Is the immersive bootcamp intended to get students jobs when they graduate? While there are no guarantees, that is certainly what we’re working hard to accomplish with our students. The program is geared towards beginners, which I think is important. That’s not to say that if you were intermediate that you couldn’t get a lot out of it, but it is geared more towards beginners. We train you for 16 weeks in programming languages and technologies, and students go through a rigorous soft skills training process where you’re doing resume and interview training. Also, we’re introducing you to the hiring partners we have in the local area. We feel very confident that if you come in with drive and motivation, that you can obtain an internship or junior level web development position, but it takes a lot of work from the student as well as the school. If you work hard, that usually pays off. Who are those hiring partners that you have relationships with? We have a number of startups in town and we’re always working to sign up more. Full stack developers are especially useful for younger companies as they have a wider range of skills over a really specialized developer, which fits in well with the start up needs. We’ll be going after the Fortune 500 companies next, and will really kick those efforts into gear once class starts. That’s another perk of being located directly next door to the Atlanta Tech Village. Our headquarters is right next door to the epicenter of technology in Atlanta. Atlanta Tech Village has 100+ startup members, with roughly 15 very well-known startups in the building. We encourage our students to go to the networking events there as often as possible. How large do you expect the first cohort to be? We only accept 12 students per cohort. I’m not 100% sure, but we accept fewer people into each cohort than any program I’m familiar with. We’ve received a lot of applications so far, so as long as we find 12 people in there that meet certain criteria, I expect we’ll fill up the class. What does the DigitalCrafts application process look like? There’s an online application and then an in-person visit and interview. There’s no coding challenge at the moment but that’s in the works. It’s about motivation, problem solving skills, and basic behavioral interview questions. If you fill out the application with 50% effort and spelling mistakes throughout, that’s a red flag. With only 12 seats available, we have to be very sure we only accept students that we can confidently put in front of companies on the back end. There definitely will be scholarships available, but nothing that’s on paper at the moment. Are both Max and Rob the instructors for the class or are you hiring other instructors? Rob will be the main instructor for the whole 16 week immersive program, while Max and I are leading the business and campus operations on a daily basis. We’ve hired two additional instructors for our part-time courses in web and mobile development. While Max will help out with the curriculum, we believe our actual instructors should have as much professional experience as possible, so we decided to pay up for it. Have you had to work with any of Georgia or Atlanta’s regulatory agencies? Do you have plans to get accredited? In the state of Georgia, you have to get a license to not only start a business, but also to provide educational services, which is what we’re doing. If we were to get our curriculum accredited by the federal government, that process would be cumbersome to our curriculum, so we’re intentionally steering clear for now. It’s important to stay nimble in technology whether you’re a professional developer or teaching development, and federal accreditation can make changing the curriculum (and getting it approved) take upwards of a year. Technology moves far too quickly for that. Thanks so much, Jake, and good luck in the first cohort of DigitalCrafts! Authorized in Georgia and Texas by the Georgia Nonpublic Postsecondary Education Commission & Texas Workforce Commission. Any other information you'd like to share with Jake from DigitalCrafts? By submitting, I acknowledge that my information will be shared with DigitalCrafts. An email with these details has been sent to DigitalCrafts. You've already applied to this scholarship with DigitalCrafts.